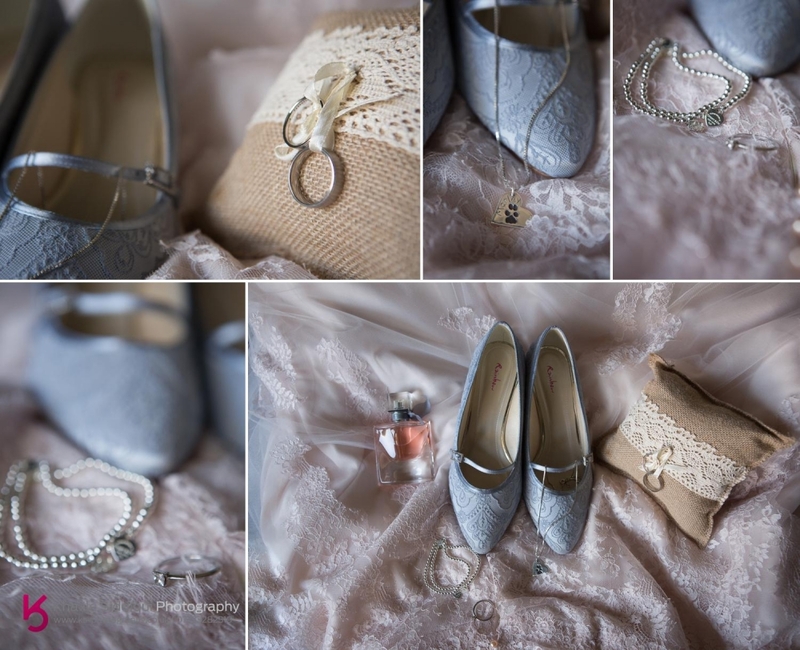 Khalile is an excellent photographer, imaginative, friendly and with the ability to take wonderful photographs without appearing to try. 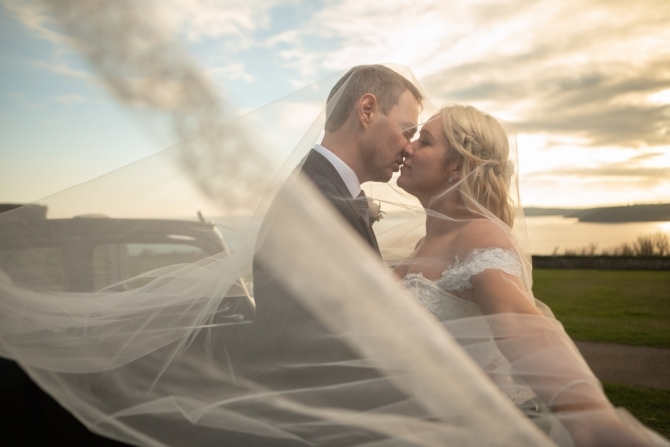 His calm nature and knowledge were invaluable in helping our day go seamlessly, I seriously cannot recommend them enough honestly! 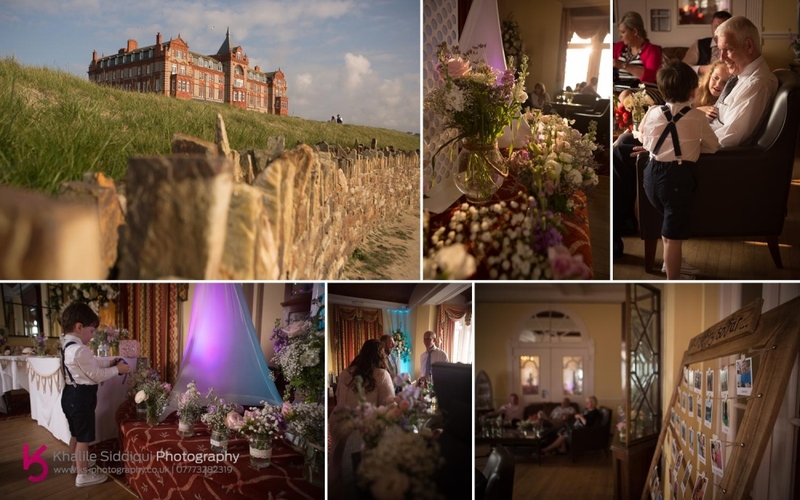 Tamsyn had an early start with doing 6 ladies makeup and the flower girl too (just a tickle with a brush of course) in one of the beautiful seaside themed cottages, which lie within the Headland Hotel complex. 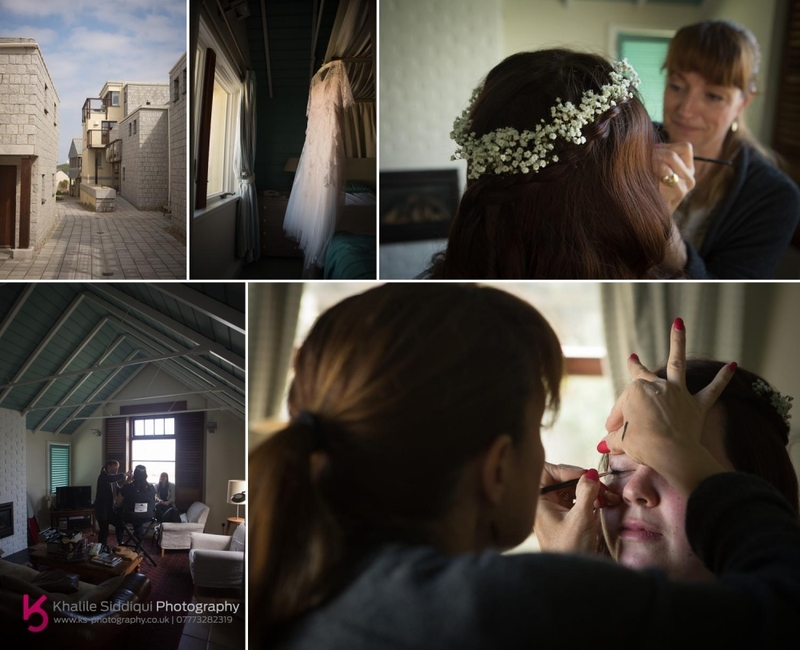 She was joined by the wonderful and forever cheery Rochelle Winter who did a beautiful job of the girls hair. 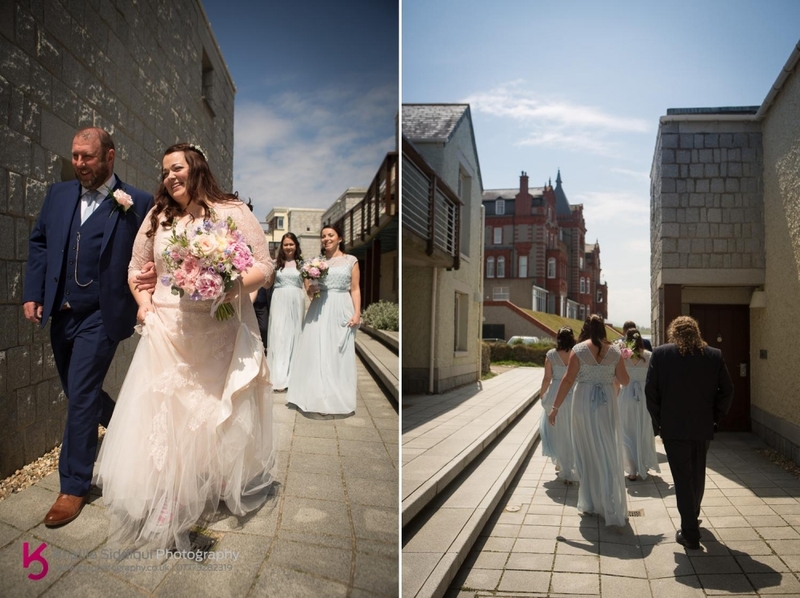 The colours Kate chose for everything complimented the hotel surrounding so well, including the blush pink she chose for the designer Sarah Willard wedding dress. 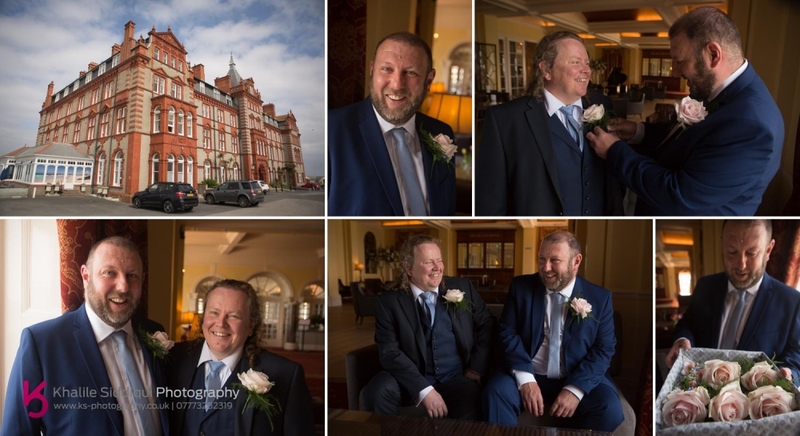 But my day was to start with the boys Andy and his best man Gary in the hotel, who were in good spirits all set for for this meticulously planned, enjoyable day by the sea. 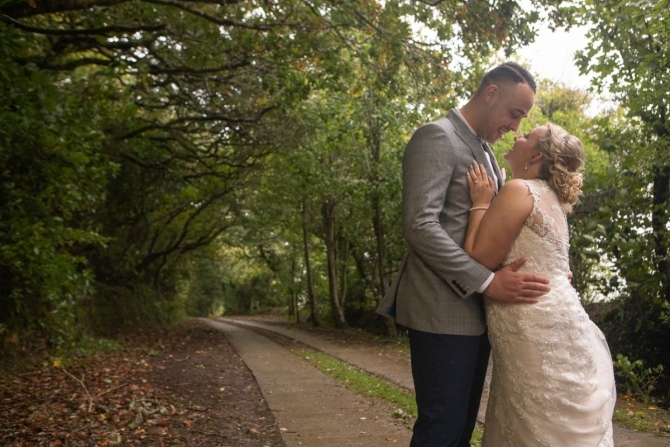 Where they'd just taken receipt of the Kelly Ann's Flowers button holes. 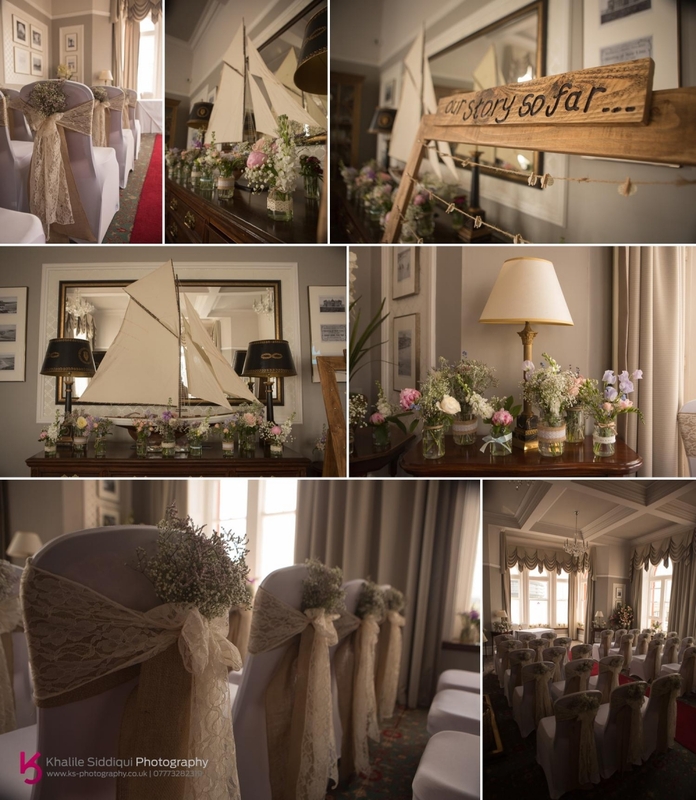 On my way back to Kate I popped into the ceremony room to have a quick peek, and my jaw hit the floor. 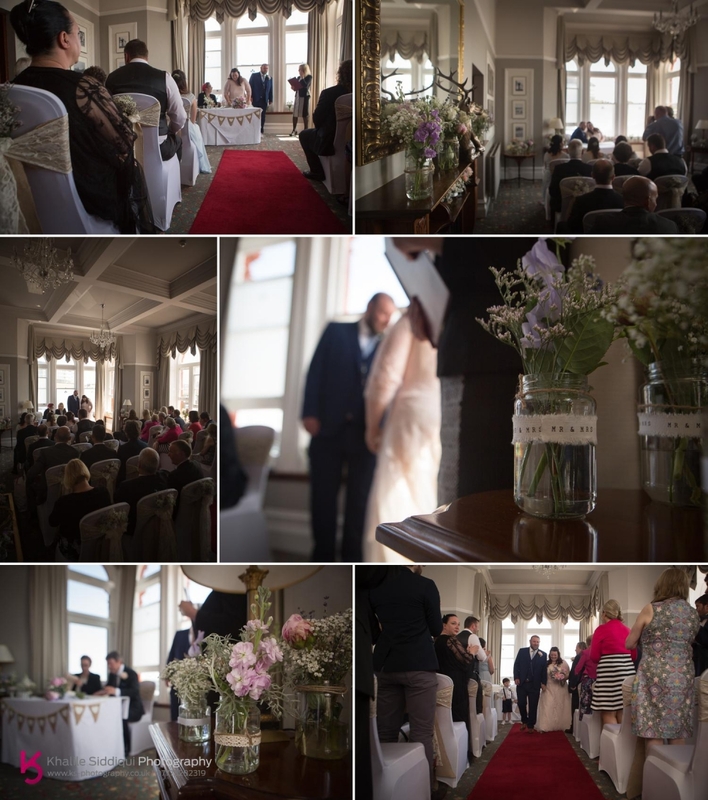 The room looked stunning, totally covered in jars of flowers EVERYWHERE supplied by Kelly Ann's Flowers and with the styling provided by Unique designs by Tina. 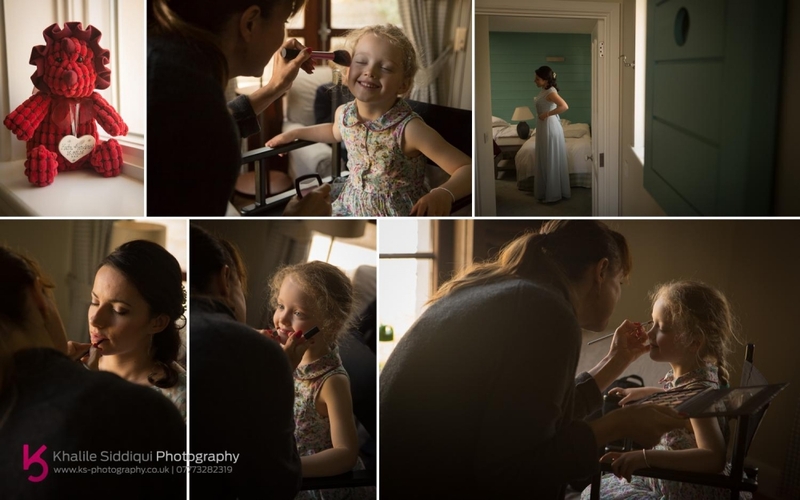 When I got back to the girls they were almost ready, and were joined by Andy's niece who was Kate's flower girl, and what a little angel she was! 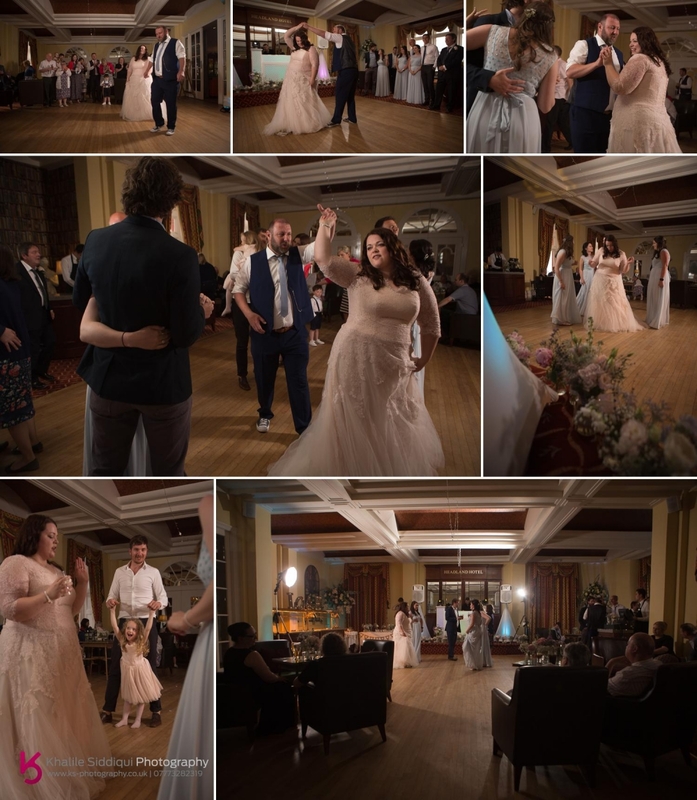 Then we had the rather un-orthodox event of Andy and Gary coming to the house to collect Kate and the girls. 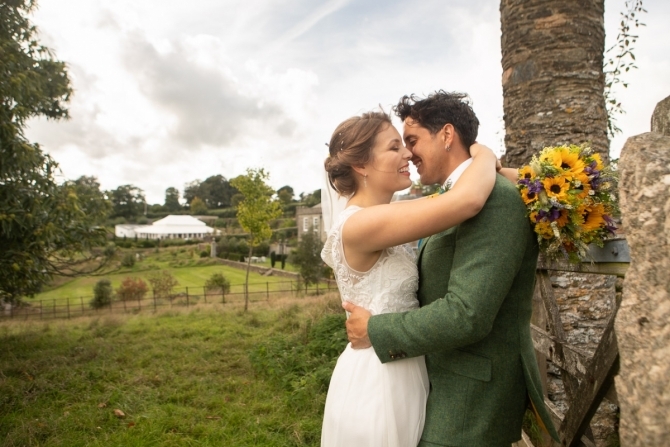 I thought this was such a lovely thing to do, as I always say people should take the wedding rule book and throw it out the window and do weddings their own way! 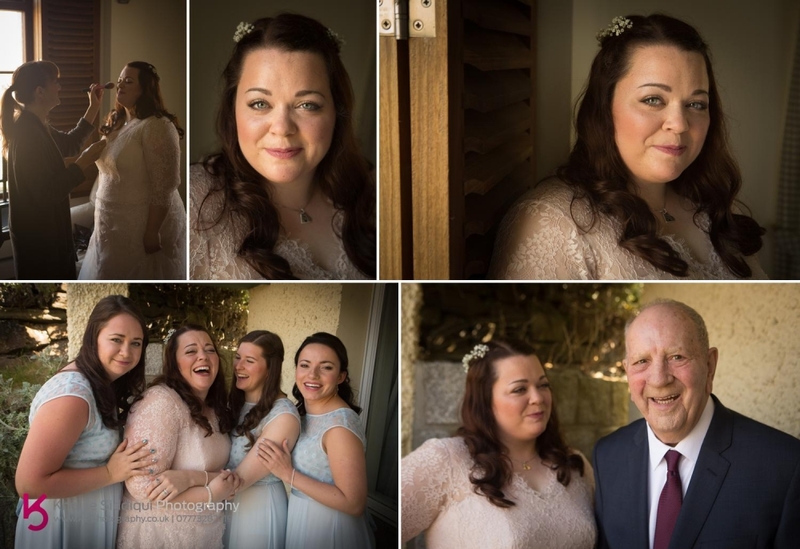 Kate specially requested this as she knew that Andy would help keep her calm and the worries of being centre of attention at bay. 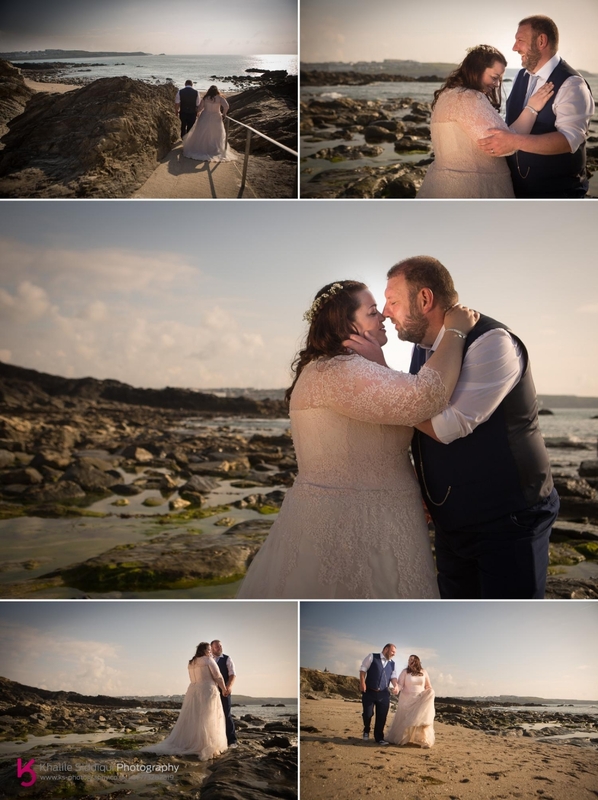 Before we knew it, it was time to head over to the hotel where the ceremony was to take place in The Fistral Suite where the hotel tend to have the more intimate weddings. 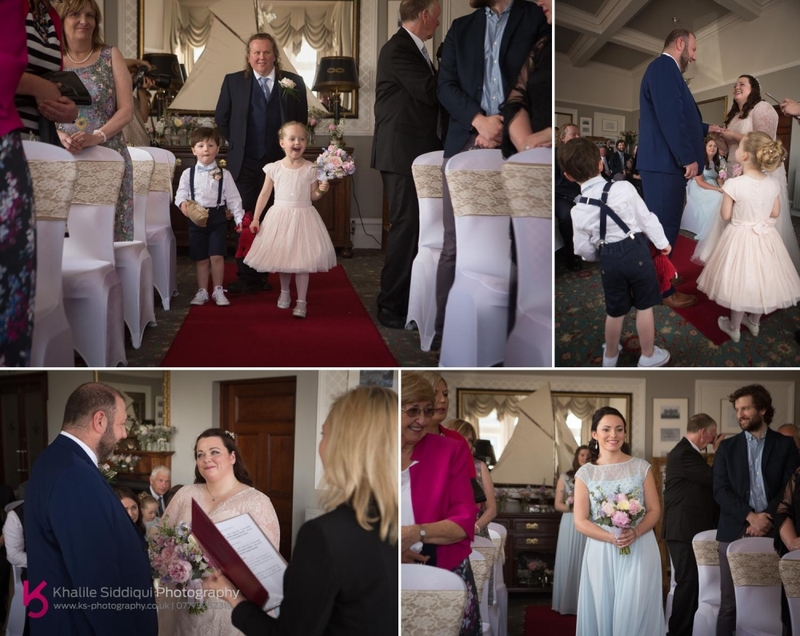 Andy's nephew and niece nearly stole the show as they made their entrance into the ceremony room. 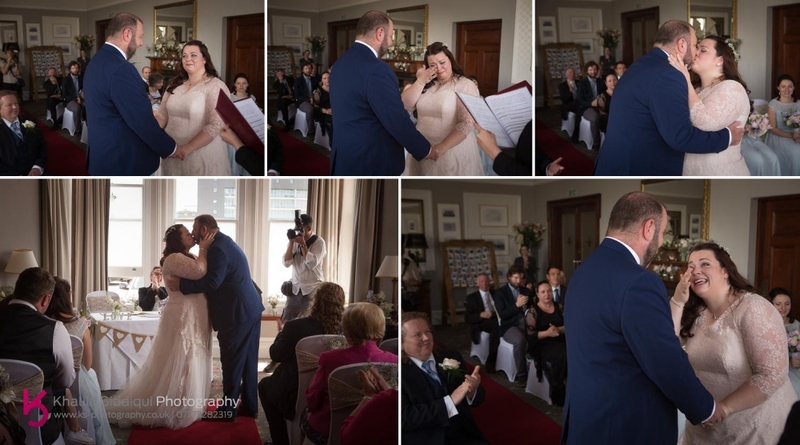 But all eyes were very soon onto our happy and emotional couple. 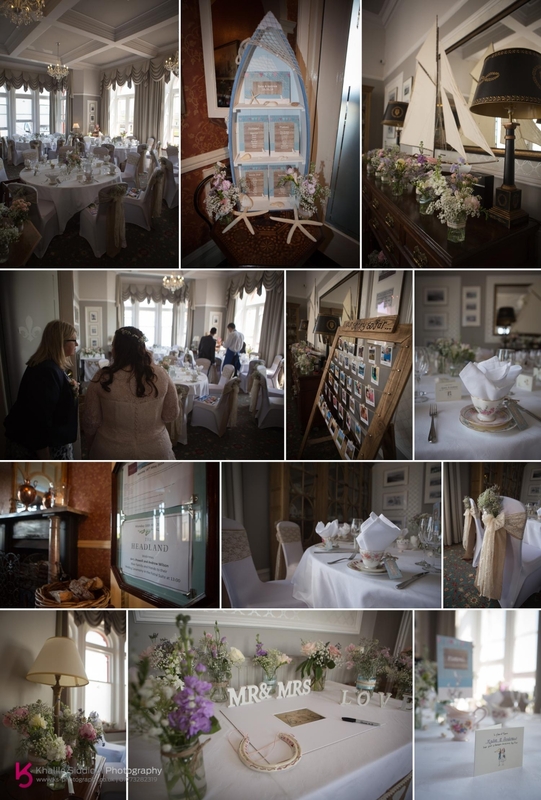 The room looked SO lovely that I can't help but share with you a few more detail shots. 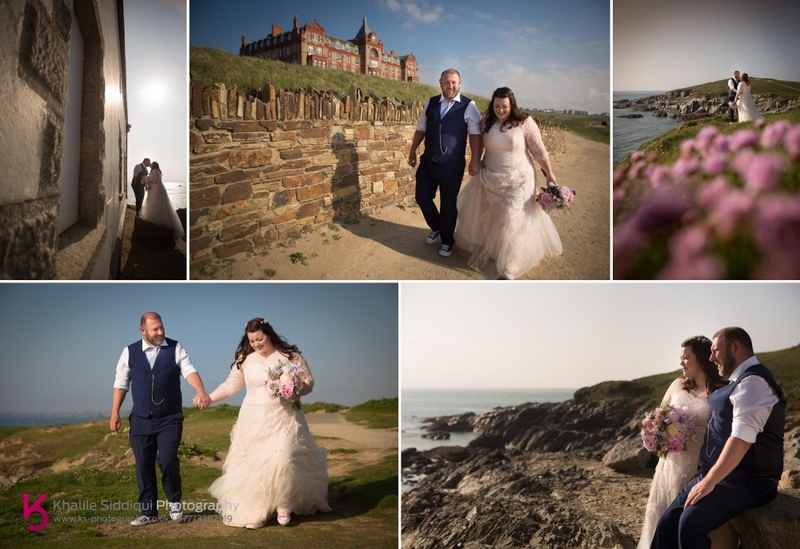 I just knew the fistral suit was going to look stunning for Kate and Andy's cream tea wedding breakfast, so I headed up to it quickly to get some shots before everyone headed in there. The wedding cake made by Sweet Thoughts was also jaw dropping! 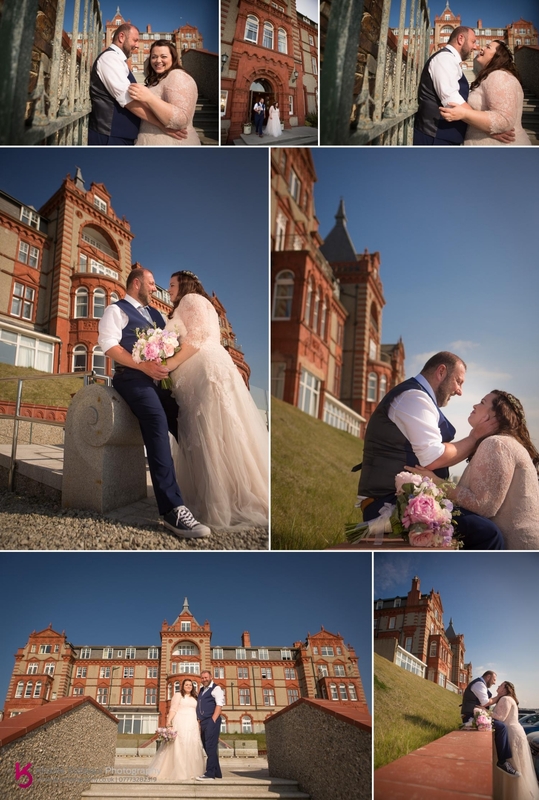 After the wedding breakfast not needing to use the handsome indoor surroundings of the hotel, we used the window of opportunity in time to get some couple photos out in the summer sun! 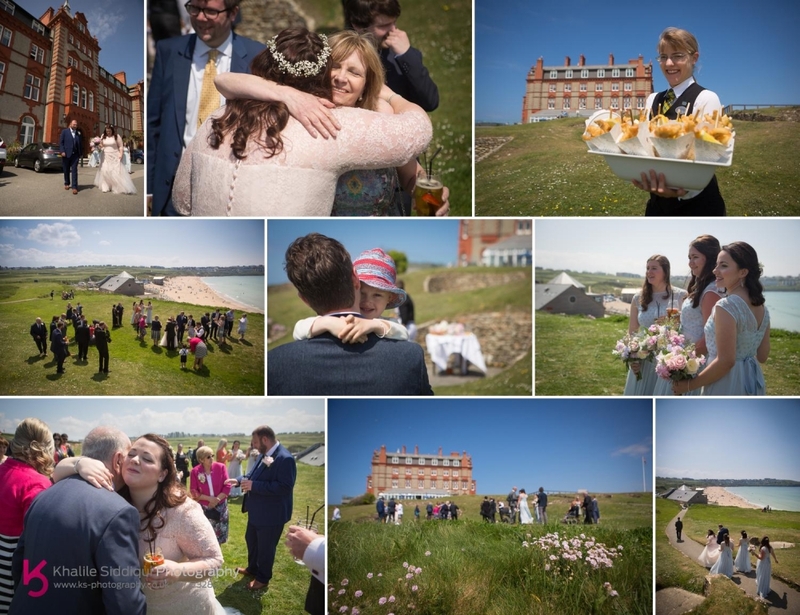 Starting off with the handsome backdrop of the hotel, before moving onto the headland. And then onto the quieter Little Fistral beach. 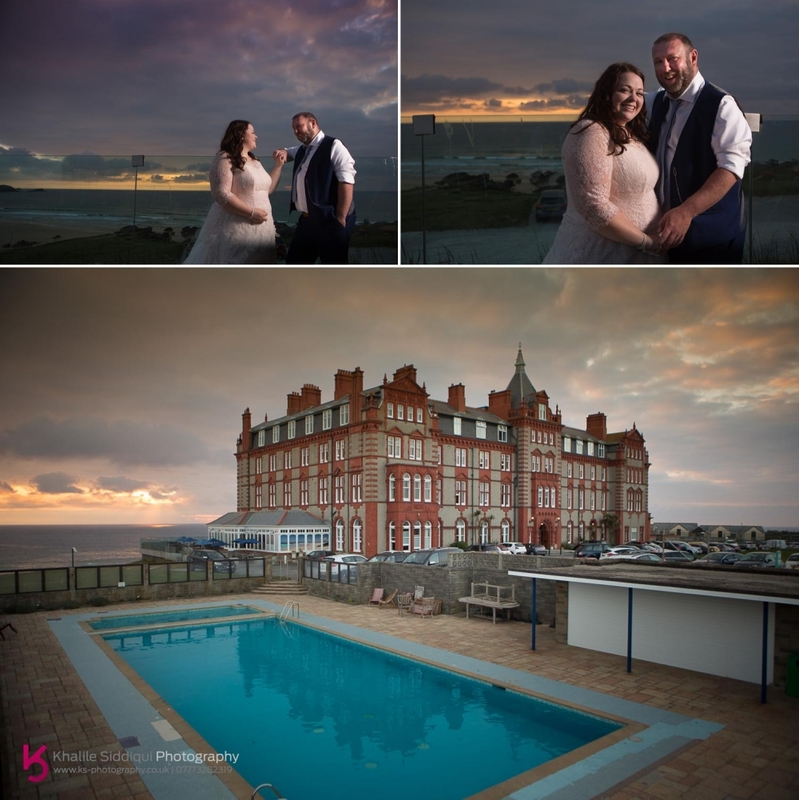 And would you believe it, to round the day off Kate and Andy were only treated to a peak of a sunset to finish off a fabulous day! 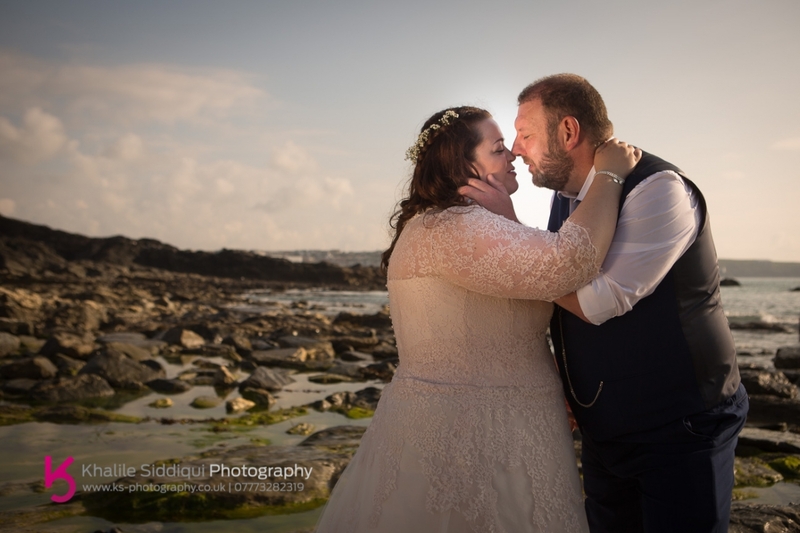 Dearest Kate and Andy, Tams and I were THRILLED to be part of your very special day, and look forward to crossing paths with you on the beach, on one of your dog walking visits to Cornwall!